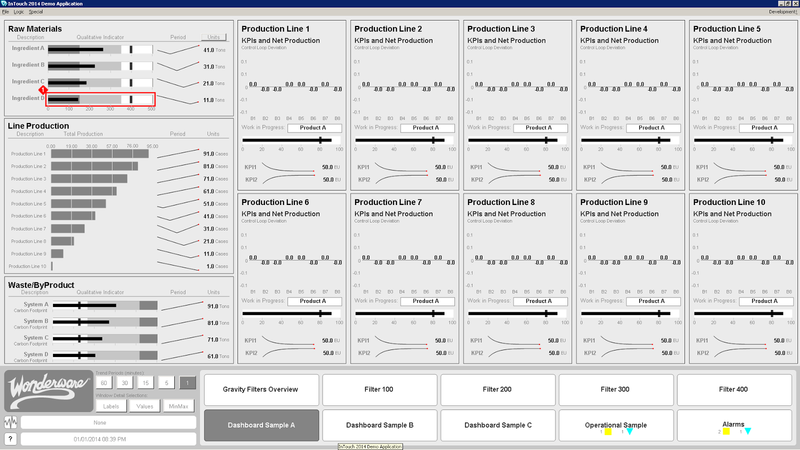 In the blog post, Goal Oriented HMI Design For Improved Operation, I covered a method for designing and identifying the goals of an application, called Goal Directed Task Analysis (GDTA), based on an the white paper: “Situational Awareness The Next Leap in Industrial Human Machine Interface Design”. This post covers elements of effective window structure for improved HMI Design. 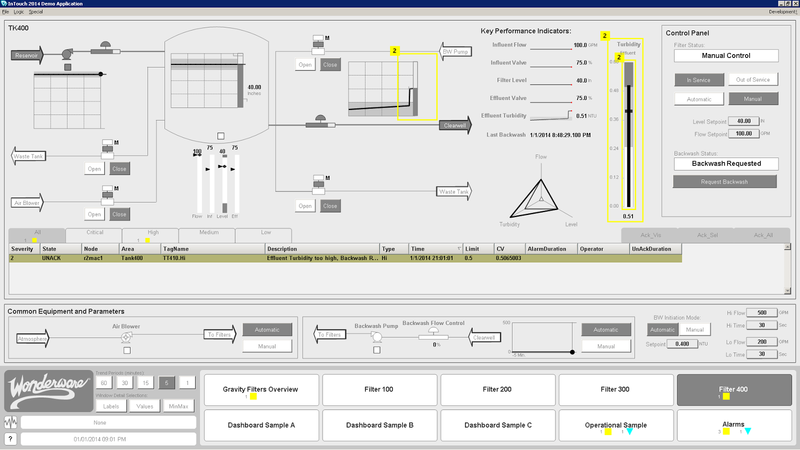 “An extremely common method of designing the window layouts of an industrial HMI is to simply replicate the P&ID’s and then to provide navigational methods to each P&ID representation. By utilizing the P&ID’s the design effort is very low but the issue with this approach is that the P&ID’s were not created with the intention of the operations teams achieving the key business goals and as such this design approach rarely does achieve them. Another common approach taken when there is a great deal of information contained within a system it to pack in the content as densely as possible. At first glance this may seem logical but in actuality this approach really only serves to overload the operator. Research has shown that on average a person can process only about four chunks of data at a time.6 With this in mind we must use an approach that will allow an operator to scan as few items as possible to determine if an action must be taken. To best achieve this, the system needs to be modeled in a 4 Level hierarchical nature as depicted in Figure 5. The windows in this structure will effectively orient the user to awareness, action, or details depending on the window Level being observed. will communicate to the operator the information required to attain the projection Level of situational awareness for the key sub-goals identified in the GDTA (performed as part of the Goal Oriented Design). 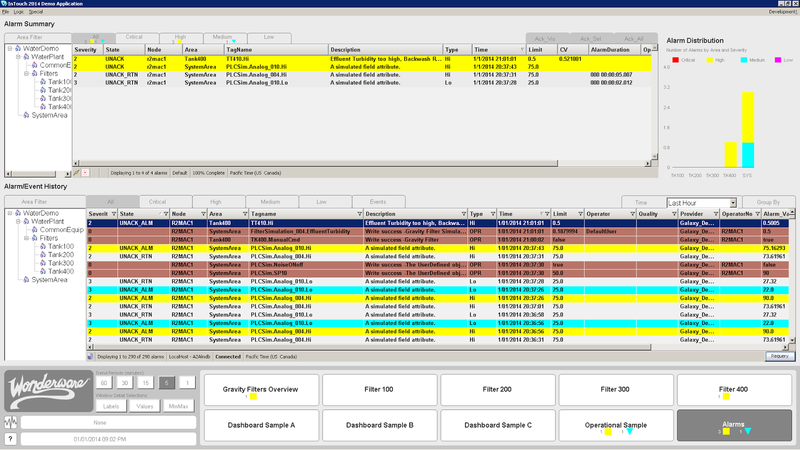 Level 1 windows will very rarely look like the actual process but instead will more resemble an information dashboard as illustrated by the example in Figure 6. The most important aspect of the Level 1 windows is to drive the operator awareness and facilitate a determination of when action or further investigation is required and facilitate access to the Level 2 windows. Once the Level 1 windows have created the awareness of a need or investigation to occur the next step is to access the Level 2 window which will enable the operations staff to execute the required action or perform the required investigation. Since the needs of HMI applications vary so widely, the division of awareness and action may be specific to the needs of your system. A common technique is to design the Level 2 windows as the main operational windows. When designing the Level 2 windows, the operator actions should be strongly considered. As shown in Figure 7, the Level 2 windows may contain elements that are recognized as process elements but are not expected to contain every detail. For example if an operator is attempting to execute a system wide start-up procedure, then a specialty Level 2 window should be created that will consolidate all of the information and actions required during start-up on a single window. Far too often the operator is required to move between many windows to execute a process which can be slow and error prone. This technique can dramatically improve the success and efficiency of extensive procedures. There may be more than one Level 2 display for each Level 1 window. 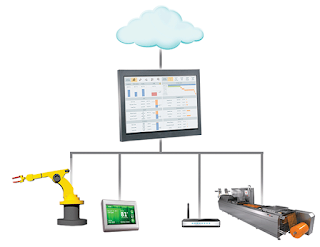 When a more detailed analysis of the equipment state and detailed process values is required, the operator will have direct access to the Level 3 windows. The Level 3 windows are those that most closely resemble the P&IDs of most systems and therefore the most likely to already be present for existing systems. An example of a Level 3 window is shown in Figure 8 and from there it can be seen that not every physical element such as pipes needs to be included as they rarely offer any valuable information. These windows typically are used in support of the Level 2 displays. 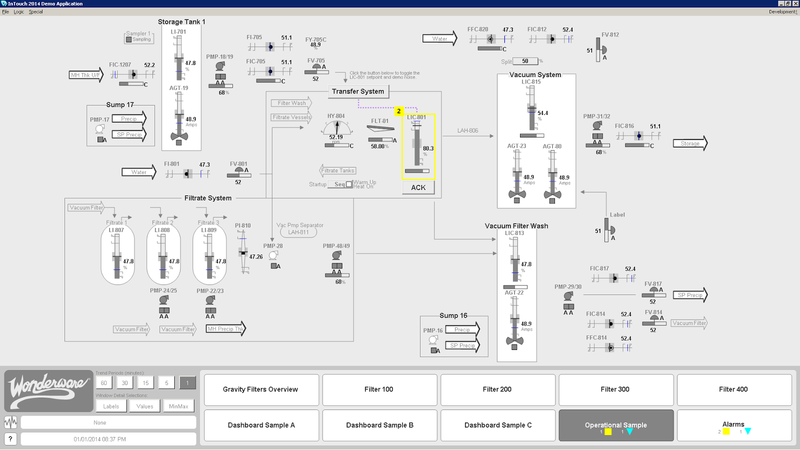 For example, if Level 2 displays where process sequences are initiated then the Level 3 display may be used to identify and clear process interlocks. The Level 3 windows will provide access to equipment status for all of the equipment in the scope of the associated Level 2 display. 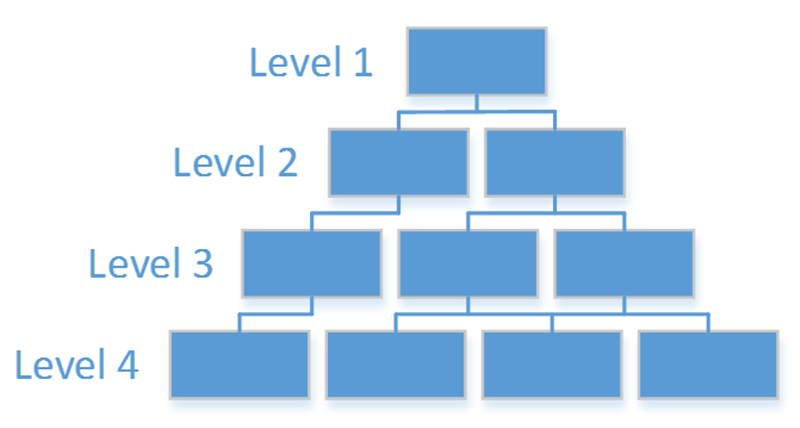 There may be more than one Level 3 display for each Level 2 display. Are you considering this approach in your facility today? I'd love to get your feedback. In the next few posts I cover other tools and techniques available (effective color usage, actionable alarm management, and effective design elements) to improve the operations outcomes.